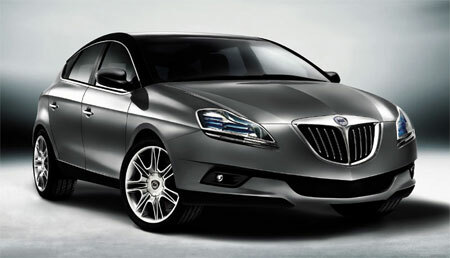 This is the new Lancia Delta HPE Concept, which will be shown to the public at the Paris Motor Show, with a production version to roll off the lines sometime in 2008. 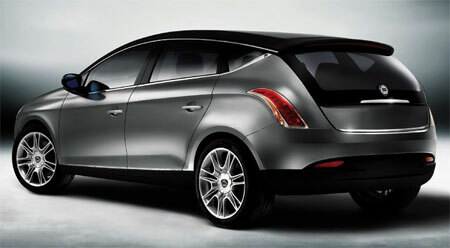 The Lancia Delta HPE Concept is 4.5 meters long, 1.8 meters wide and 1.5 meters high, with a wheelbase of 2.7 meters. Trunk capacity is about 400 litres, which is not too bad. The Honda City has a 500 litre trunk while the Audi A4 has a 460 litre trunk. The Lancia Delta HPE will be based on the new Fiat Bravo platform, and it’s expected that the car will come with a few engine options – 1.4 turbo with either 120PS or 150PS, a 1.8 turbo with 190PS, and two turbodiesels, a 1.6 oil burner with 120PS and a bigger 2.0 oil burner with 165PS. The original Lancia Delta was a hatchback that was pretty successful, and it had a performance model called the Lancia Delta HF Integrale, fully geared up with a turbocharged engine and an AWD drivetrain. Some of you might be foreign to the name Lancia, an Italian automobile manufacturer which is somewhat less well known than it’s other Fiat Group siblings – Fiat, and Alfa Romeo. However, Lancia has clocked up the most WRC manufacturer’s championship victories so far in the history of the race. Lancia’s rally-equipped Delta HF Integrale was the car responsible for dominating the World Rally Championship, scoring 46 WRC victories overall and winning the Constructors Championship six times in a row from 1987 to 1992, a record.